It was Storm who scored the first goal of the evening, scored by Auger, who lifted the puck over Whistle, assisted by MacMillan and Balmer at 8:25. In a matter of minutes the scoreline sat at 1-1, as Steelers equalised with a backdoor goal scored by McGrath, assisted by DeLuca and Westerling at 10:10. There were close chances for both Hammond and Auger, but Whistle closed in on the puck, denying Storm a possible one goal lead. With the scoreline still remaining at 1-1 in the final few minutes of the first period, tensions were rising. 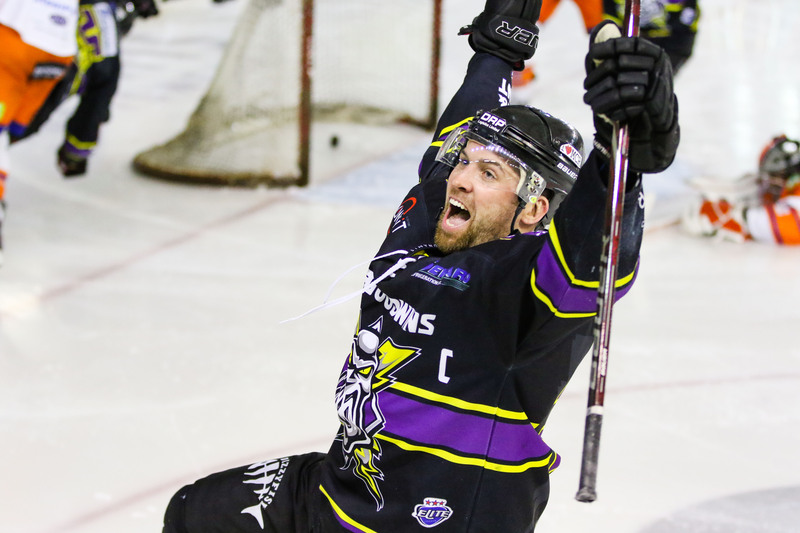 Both teams were given penalties, Owens for Steelers and Springer for Storm, both being handed 2+2 for roughing. DeLuca scored for Steelers at 22:37, putting Steelers in the lead by one goal, assisted by B.Whistle. It became a little fiery between both lines, resulting in Braid being handed a penalty for slashing and Steelers’ forward, Pitt for roughing at 23:26. Steelers found themselves up by two at 29:25, DeLuca getting his second of the night, slotting the puck in, assisted by O’Connor and Westerling. Ehrhardt managed to close down the two goal lead with a one-timer via a pass from Long at 31:32 – Hammond also getting an assist. This was a powerplay goal, due to a bench penalty to Steelers for too many men on the ice. Eberle claimed goal number four for the Steelers at 36:22, putting the scoreline back up by two, assisted by Pitt and Johnson. This goal also resulted in disagreements, Ruopp and Springer each being handed two minutes for roughing, and Eberle for roughing. Any chance of a powerplay goal for Steelers was shut down in under a minute, as O’Connor was sent to the penalty box for hooking at 36:56. 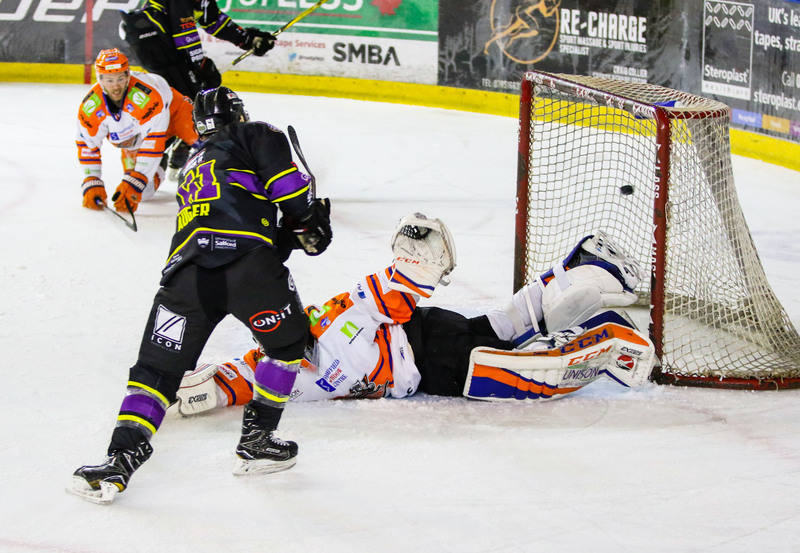 The second buzzer signalled, the score 4-2 to Steelers. 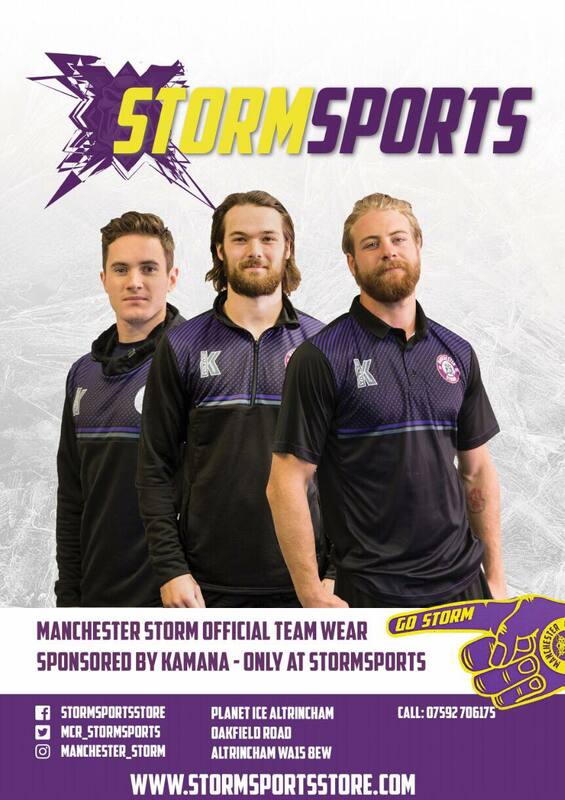 Storm went in hard from the first face-off, pushing forward to narrow the scoreline. Goal number three appeared at 40:31, scored by Byers, who put it past Whistle on a rebound – Moffatt and Linsmayer with the assists. Martinelli was handed a penalty for cross-checking at 48:11, the perfect chance for Storm to claw back a goal. It was Braid who scored the equaliser for Storm, Poulin and Hammond both claiming assists with just seconds left on the powerplay. 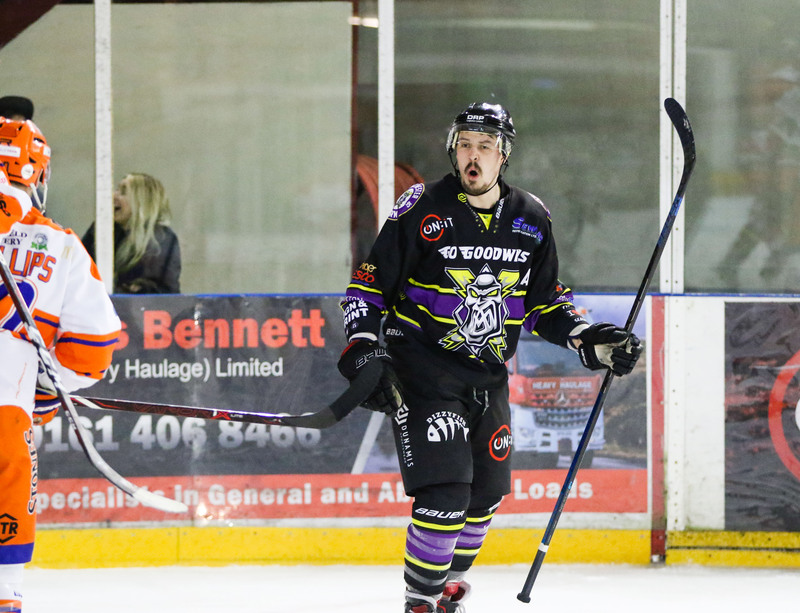 The game became even more tense, as Steelers found themselves in the offensive zone doing everything they could to put the scoreline back up. Ginn pulled off save after save at one point, starting with a diving poke check and throwing himself around at any opportunity for rebounds. In those final ten minutes, neither team managed to score another goal. The third ended 4-4 and the game went into three on three overtime. Both teams clearly wanted the golden goal, and for a few minutes it could have gone either way. At 62:54, Long scored the game winning goal, tapping in the loose puck left via a breakaway from Hammond – Ehrhardt also getting an assist. Storm claimed the two point overtime win at home and currently stand in a top eight playoff position with 42 points. Man of the Match for Storm went to, #89 Ciaran Long. Shots on Goal: Jackson Whistle – 36. 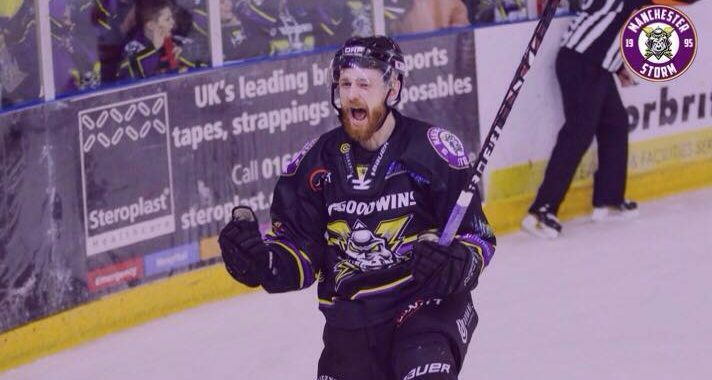 Shots on Goal: Matt Ginn – 30. Referees: Tom Darnell & Tom Pering.